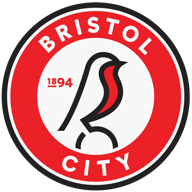 Tom Cairney and Lucas Piazon scored as Fulham coasted to a comfortable 2-0 victory over Bristol City in the Sky Bet Championship on Wednesday. The home side struggled in the absence of injured top scorer Tammy Abraham and made it an easy three points for the play-off-chasing visitors. Fulham went in front on 17 minutes when a patient passing move ended with Cairney's through ball for Piazon to shoot past Fabian Giefer from 10 yards. A dreadful mistake by full-back Adam Matthews allowed Cairney to make it 2-0 on 54 minutes with a clinical finish from a Neeskens Kebano pass. The win sees Fulham move up to seventh in the Championship, six points outside the play-off places, but with a game in hand on the teams above them. The home side were well off the pace in the first half and Fulham would have been out of sight with better finishing. Milan Djuric headed over for City when he should have scored from David Cotterill's 22nd-minute cross, but it was one of few threatening moments for visiting goalkeeper David Button. At the other end it was all too easy for Fulham to create openings as they passed their way through midfield at will. Giefer had to go full stretch to tip wide a low drive from Piazon while Ryan Sessegnon was inches wide with an effort from the left corner of the box. Home supporters became increasingly frustrated as their team failed to compete and the half-time whistle brought jeers. Johnson responded by sending on Bobby Reid for Josh Brownhill and later sent on two more replacements in Lee Tomlin and Gary O'Neil. 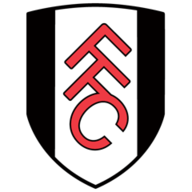 It made little difference as Fulham continued to play their passing game with little pressure on the ball from their opponents and Cairney added a second. Matt Taylor had a shot blocked on 65 minutes, but was given little chance to show the scoring ability that had made him Bristol Rovers' top marksman before his controversial move across town. Djuric shot wide from distance, but City remained wide open to the counter-attack against opponents too talented to be allowed time on the ball. Kevin McDonald almost made it 3-0 to Fulham with an 85th-minute header and Giefer remained the busier keeper throughout. It was a slick display by the Londoners, who moved to within six points of sixth-placed Sheffield Wednesday, but a disaster for manager Lee Johnson, who has been under pressure for some time. At the final whistle City supporters made clear their feelings and, with successive away games coming up against Newcastle and Aston Villa, it is unlikely to get any easier.